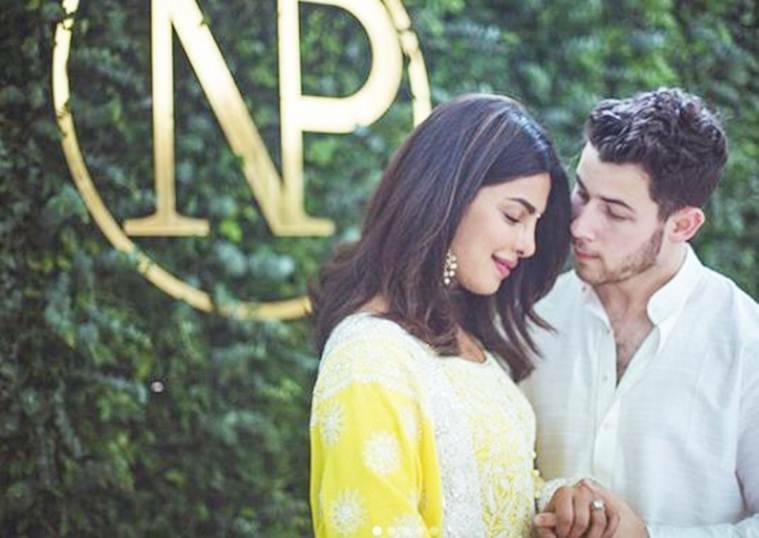 After the roka ceremony, Bollywood actor Priyanka Chopra and American singer Nick Jonas hosted an engagement bash in Mumbai. 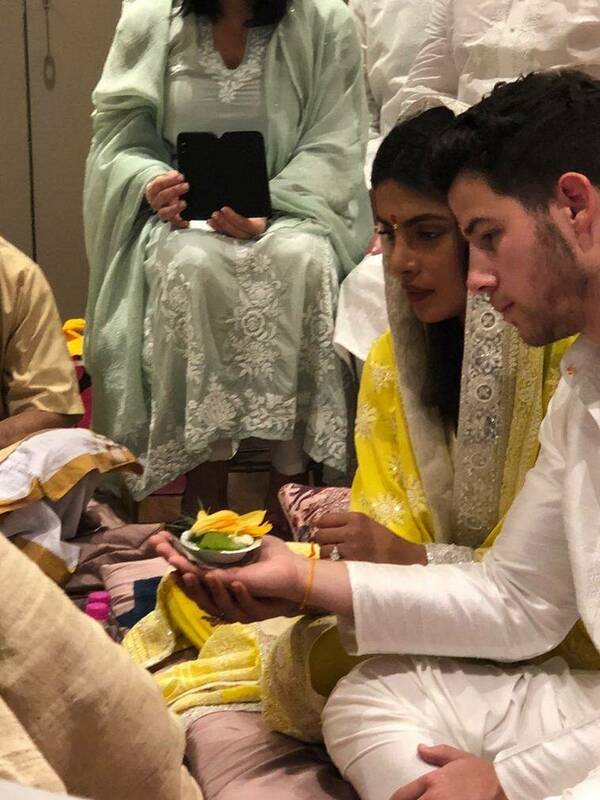 Bollywood actor Priyanka Chopra and American singer Nick Jonas made their relationship official with a roka ceremony held at the Desi girl’s residence on Saturday morning. 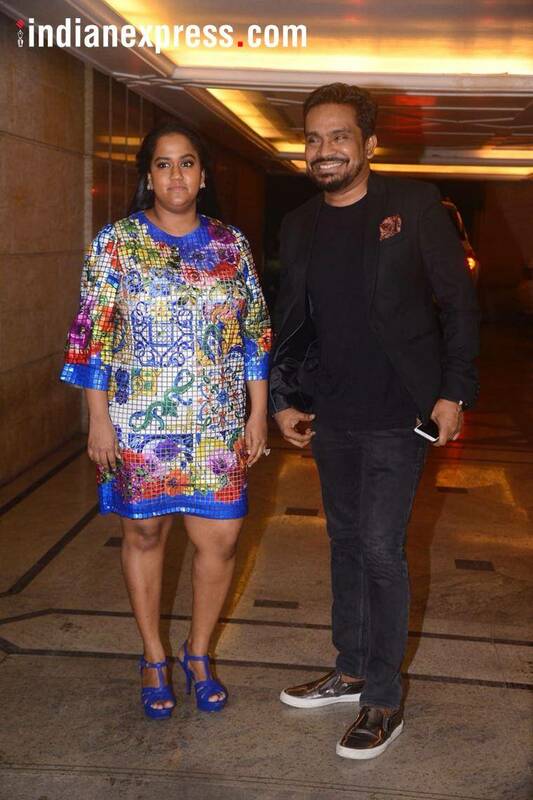 After the roka ceremony, the couple hosted an engagement bash in Mumbai. 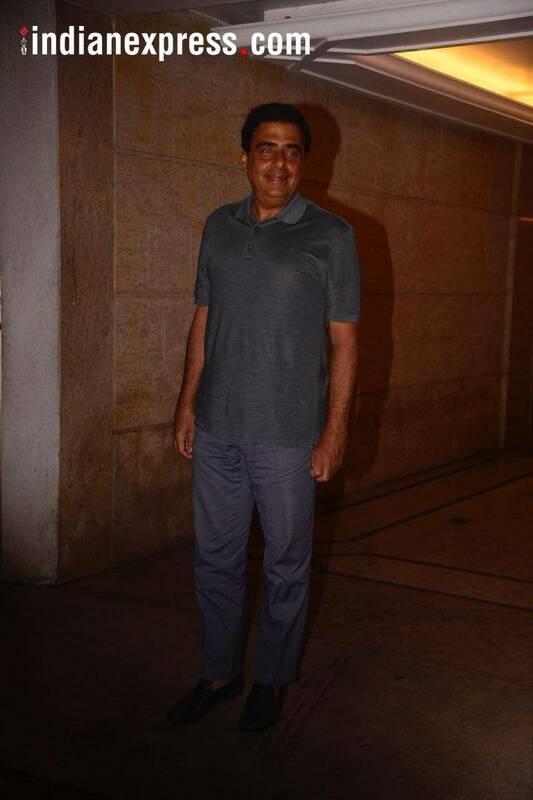 Nick Jonas’ parents, who are in India, also attended the engagement bash along with the Chopra family. 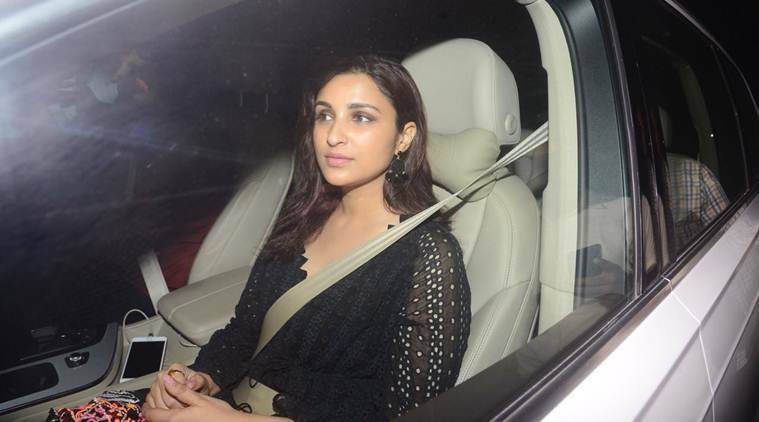 Actor Parineeti Chopra and film producer Siddharth Roy Kapur were among the first guests to arrive at the bash. 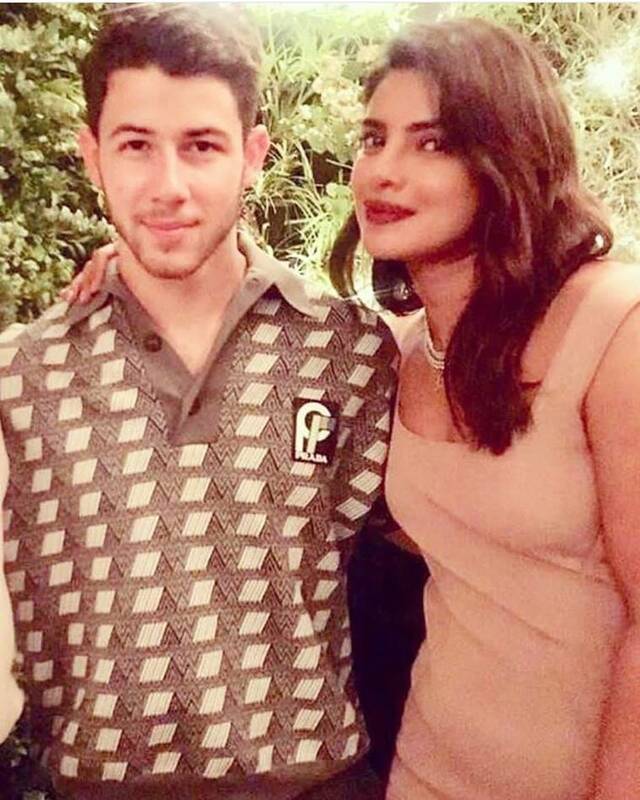 Read all the updates about Priyanka Chopra and Nick Jonas' engagement bash. 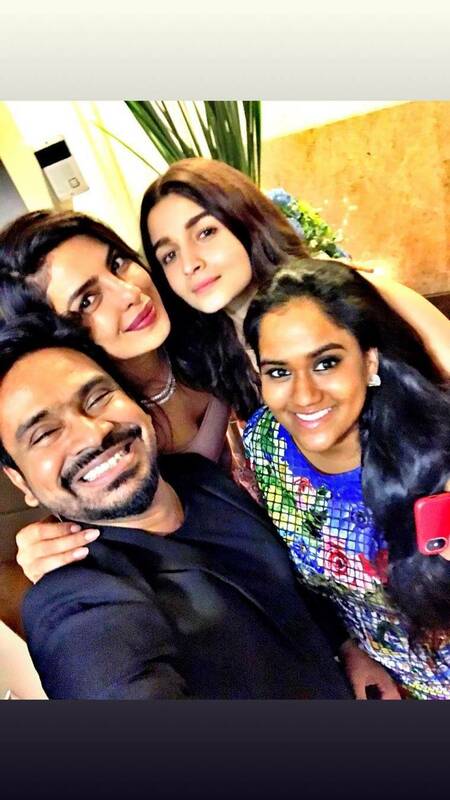 Priyanka Chopra, Alia Bhatt, Mushtaq Sheikh and Arpita Khan Sharma posed for a selfie during the engagement bash. Photo: Priyanka Chopra and Nick Jonas at their engagement bash. 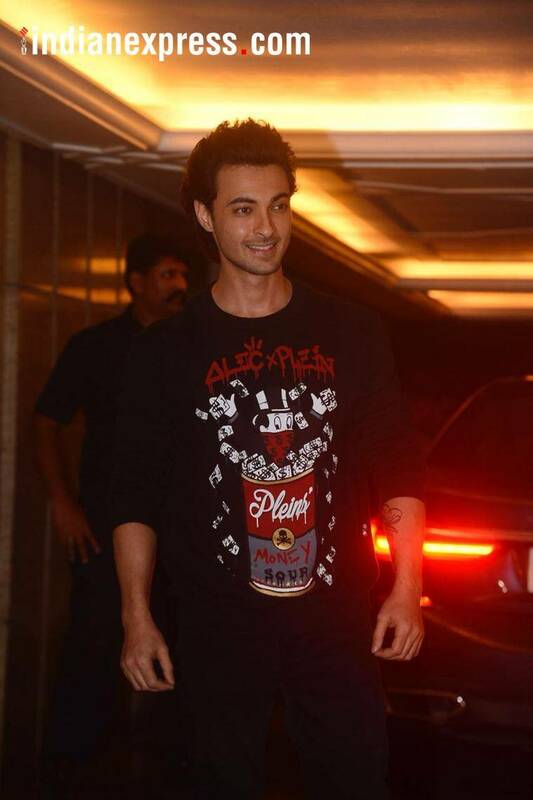 Alia Bhatt turned heads at Priyanka Chopra and Nick Jonas' engagement bash. 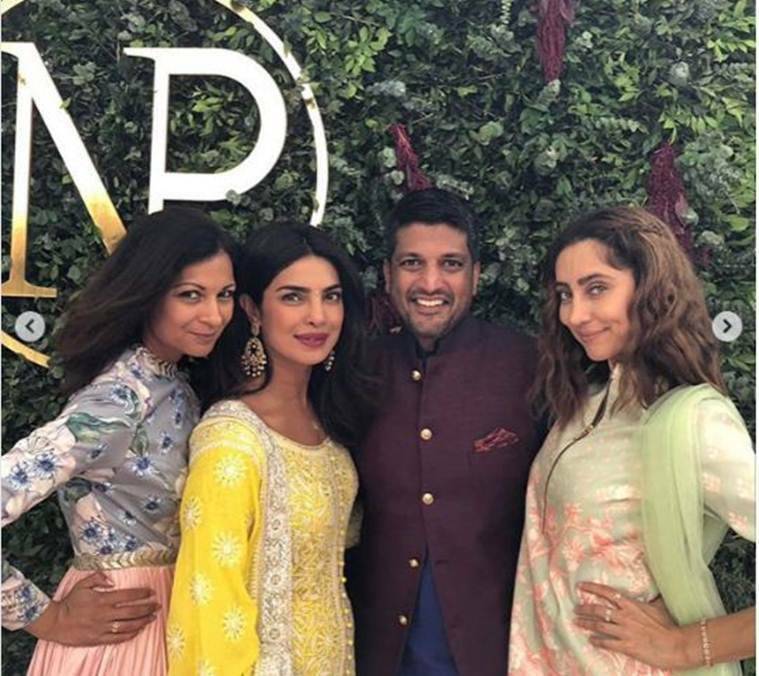 VJ Anusha Dandekar was accompanied by Priyanka Chopra's manager Anjula Acharia. 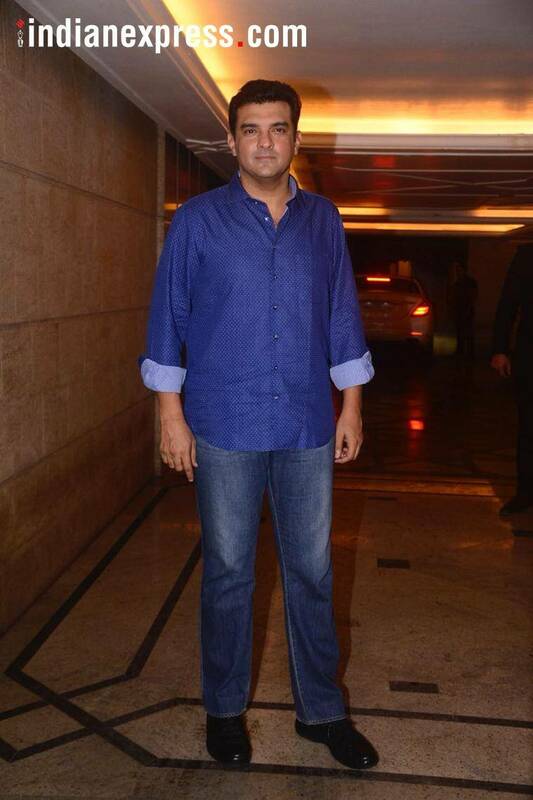 The Sky Is Pink producer Siddharth Roy Kapur is here! "Wow. First I’m blessed with an incredible future brother-in-law, and now such an beautiful, inside and out, future sister-in-law. I’m so excited to welcome you into the family @priyankachopra . I love you both @nickjonas," Game of Thrones actor and Joe Jonas' fiancee Sophie Turner said via Instagram. 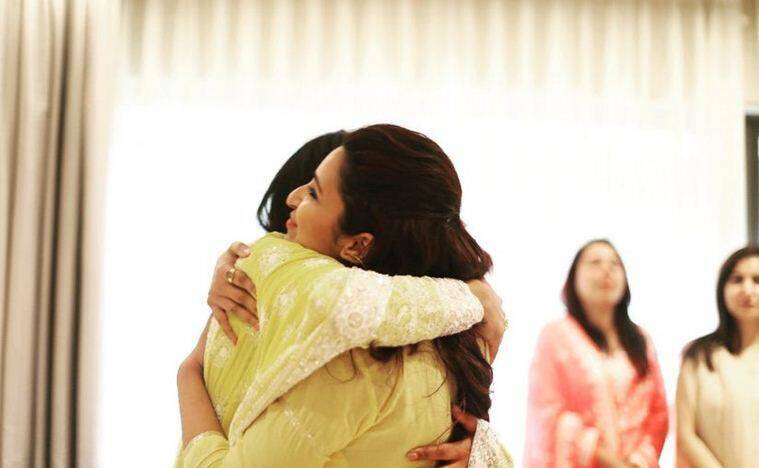 Sharing a photo, Priyanka Chopra's cousin sister Parineeti Chopra wrote, "Today I witnessed magic and a fairytale ... When we were kids, mimi didi and I used to play “ghar ghar”. We would pretend to be shy brides, have imaginary children, and serve tea to our husbands! 🙈🙈 cheesy, but its because we always believed in the magic of love and hoped we would both find that perfect man for us one day!! Today there was no pretending. I cant think of a more a perfect man for her. Like I said this morning, there are two ways of judging a human being. 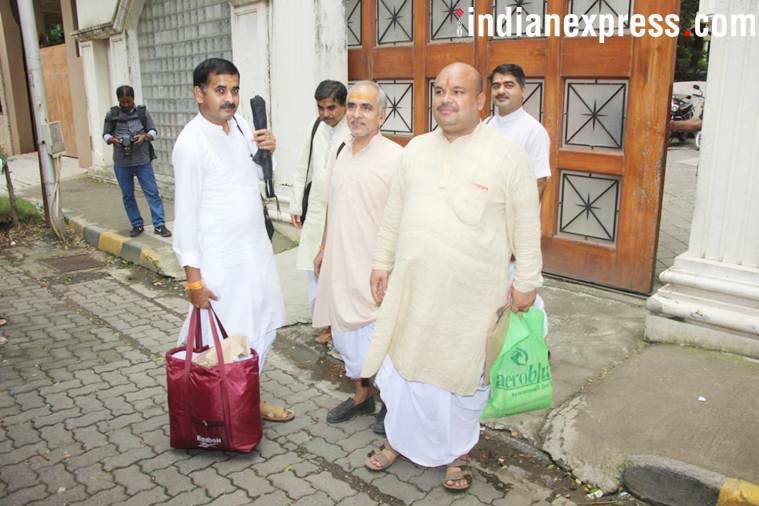 One - travel with them, and two, eat with them. Nick, I have done both with you. And so I know you’re perfect for her!! Love her, because she loves you like mad! Protect her, because shes strong, but a soft soul inside. I love you both and wish you all the happiness forever!!!!! 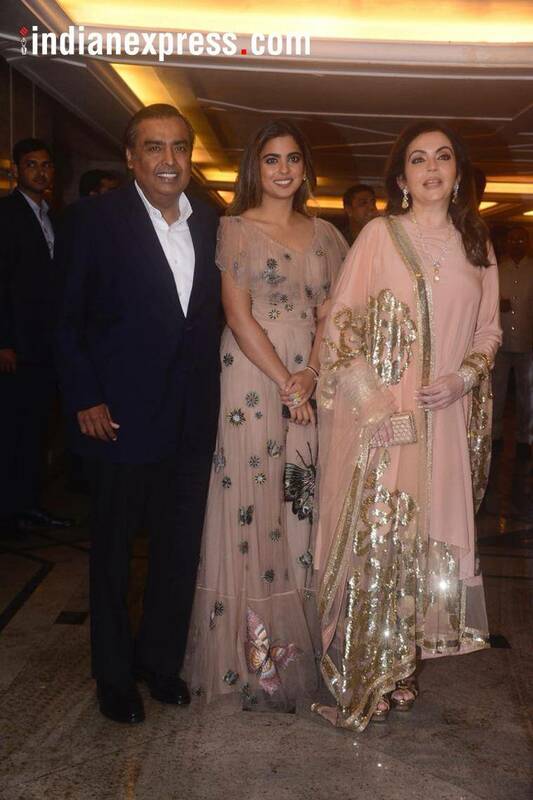 HAPPY ROKA AND FUTURE WEDDING!! 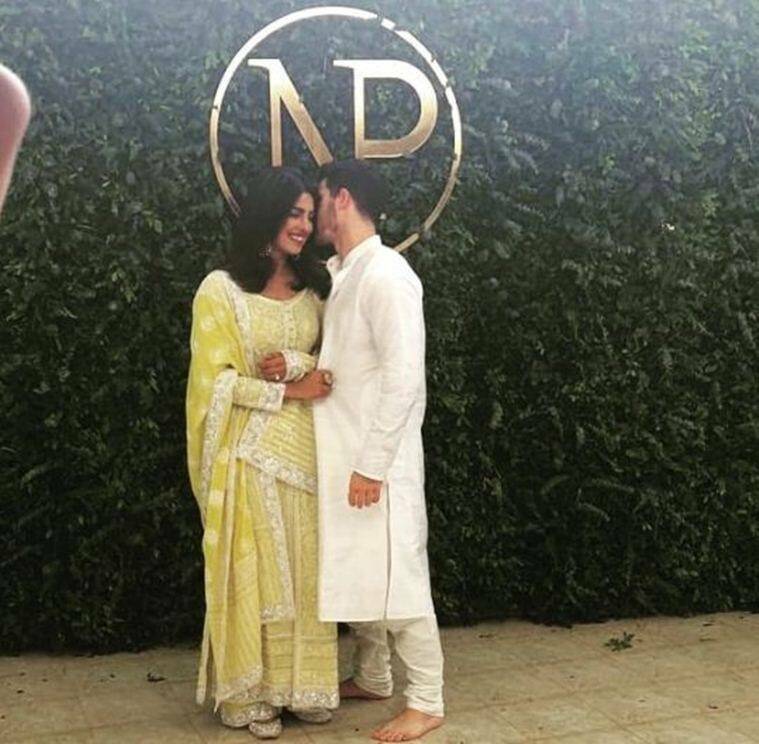 💍💑@priyankachopra @nickjonas"
Anushka Sharma tweeted, "Lots of love , immense joy and happiness to you both @priyankachopra @nickjonas... Here’s to starting the most beautiful journey of your lives ✨💕"
Nick Jonas’ father Paul Kevin Jonas Sr posted on Instagram, "So happy for the engagement of our son @nickjonas and we welcome @priyankachopra into our family with love and excitement." Sharing the photo on Instagram, VJ Anusha Dandekar wrote, "I always knew one thing was certain, she deserved true love.❤️ Then her Prince came along for real... not to rescue her because god knows she does that all on her own and HOW! #globaldomination #newagefairytale ... But someone to love her the way she loves, laugh with her endlessly, keep it 💯 & live the happily ever after that everyone who wants to love and be loved deserve. We’ve had many chats on love over pancakes & in planes & you know I’ve always wanted you to shine in love the way you do now! 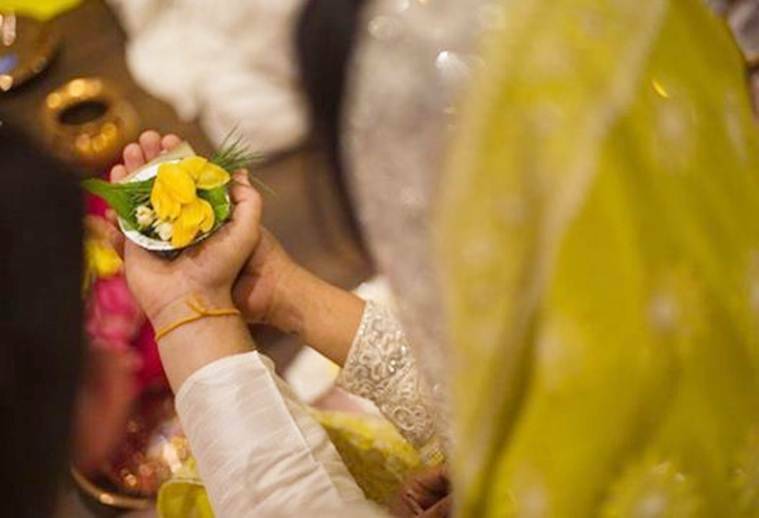 I am beyond happy for you @priyankachopra @nickjonas you make love look so easy, beautiful & special... Congratulations ❤️ #roka #happytears 💍😍"
Sharing the photos, Priyanka Chopra wrote, "The only way to do this... with Family and God. Thank you all for your wishes and blessings"
Sharing the photo, screenwriter Mushtaq Shiekh wrote, "Love just got a partner. @priyankachopra just found her man- @nickjonas They now are engaged to each other. The smile in her eyes tells a story...Yes, love stories still are alive & blushing red these 2 loverbirds confirm that for me. 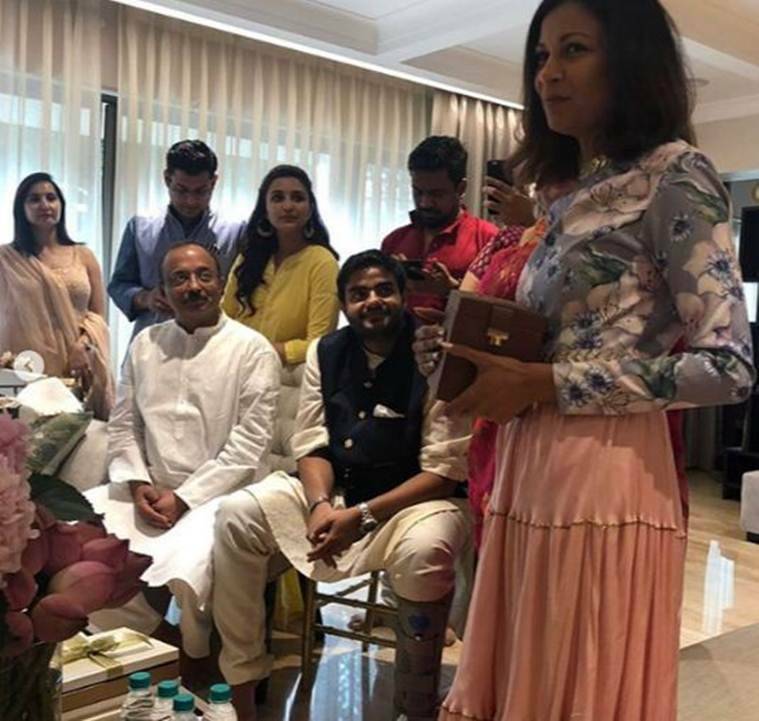 Happiness was the chief guest of the day!😍"
Karan Patel‏ tweeted, "The #Engagement is the first step towards a lifetime of happieness ...!Congratulations @priyankachopra and @nickjonas ... may this new journey of yours be filled with nothing but happieness and joy ...! 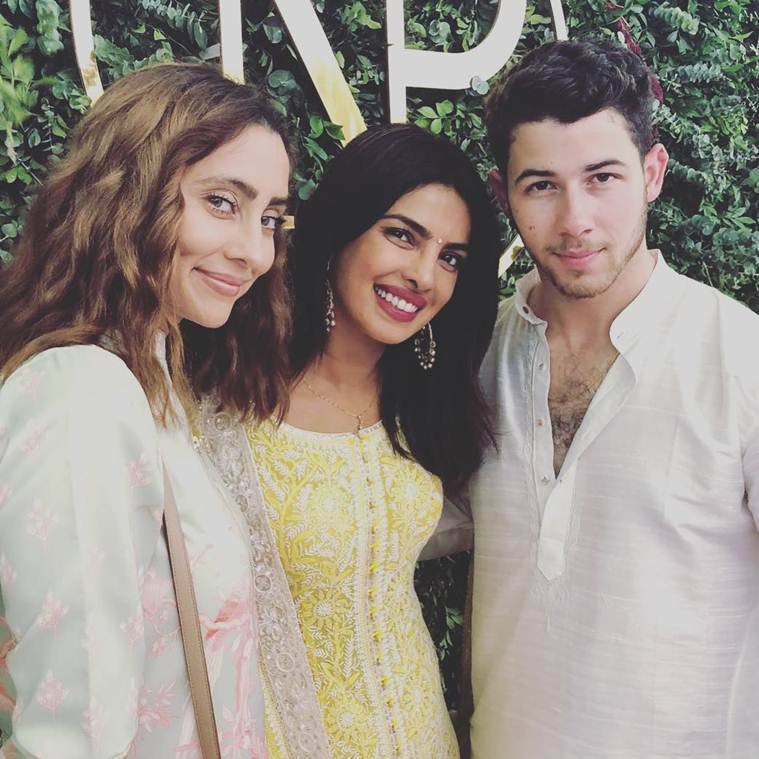 #PriyankaNickEngagement"
Priyanka Chopra and Nick Jonas' roka ceremony was a close-knit affair. Family members and close friends posed for photographers after the ceremony. Nick Jonas’ father Paul Kevin Jonas Sr shared on Instagram, "Congratulations and welcome to our family!" Fiance Nick Jonas too commented on Priyanka Chopra's latest Instagram post. 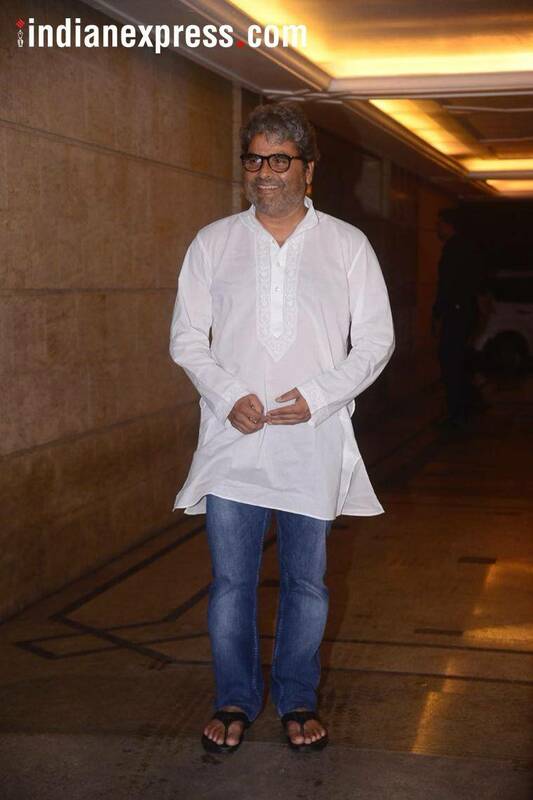 Sonal Chauhan wrote on Instagram, "Many many congratulations. God bless you both with a lifetime of happiness and togetherness." 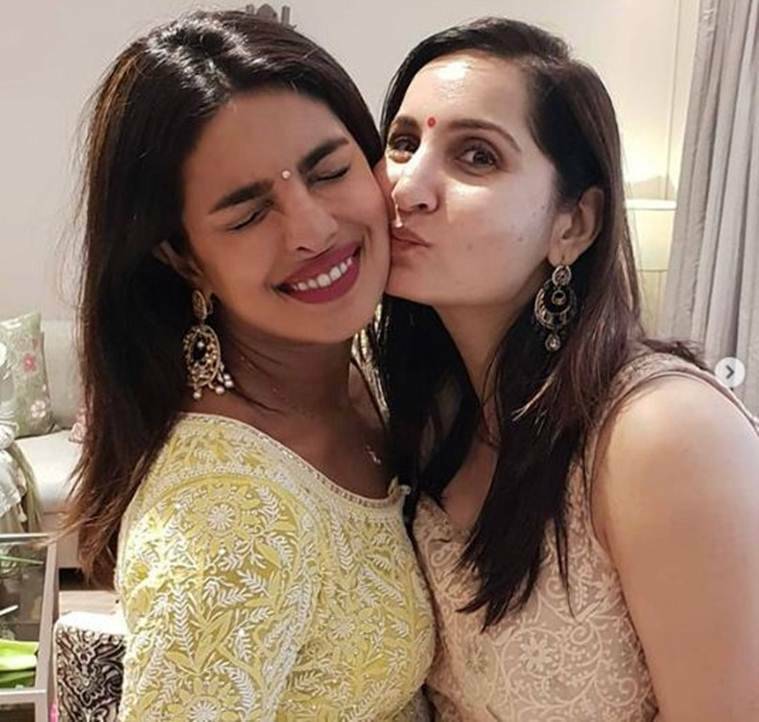 Sharing the photo, Bollywood actor Priyanka Chopra wrote, "Taken...With all my heart and soul." Fiance Nick Jonas followed suit and shared the same photo on Instagram. He wrote, "Future Mrs. Jonas. My heart. My love." 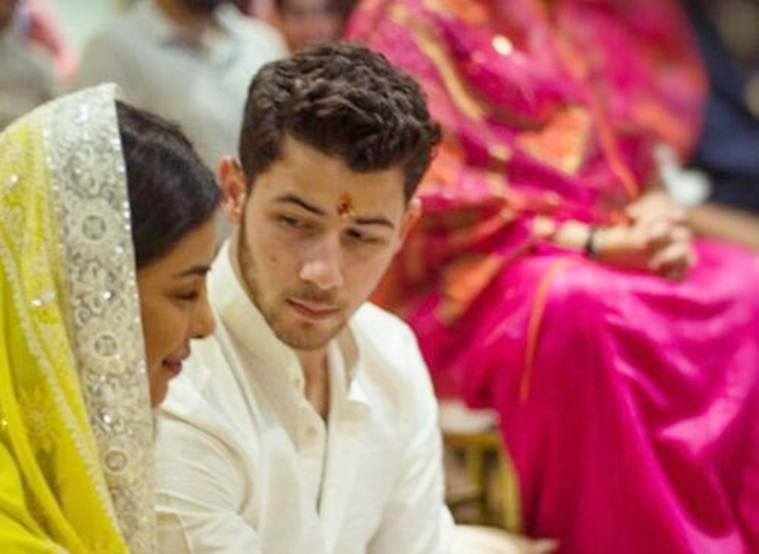 "Heartiest congratulations to @priyankachopra and @nickjonas. Have a blast u guys #PriyankaNickEngagement," filmmaker Abhishek Kapoor said via Twitter. 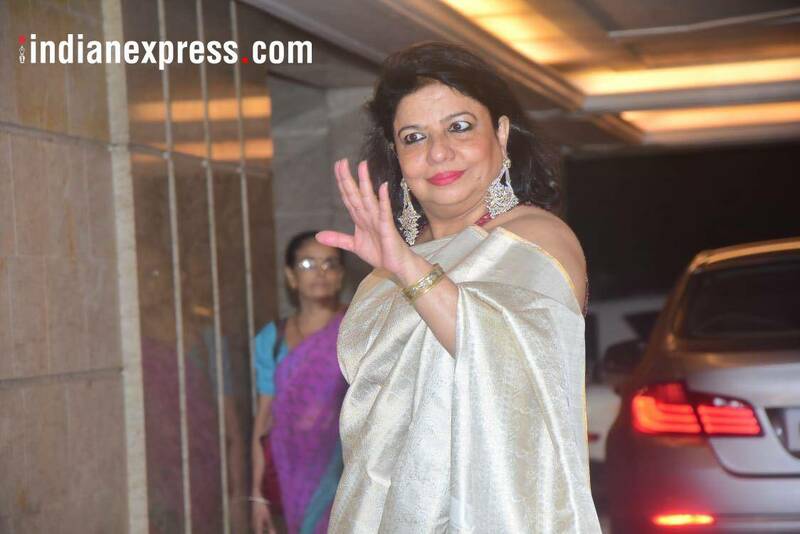 Salman Khan's sister Arpita Khan Sharma arrives for Priyanka Chopra and Nick Jonas' roka ceremony. Sophie Choudry posted on Twitter, "They say love happens when you least expect it! Soooo thrilled for one of my favourite girls @priyankachopra ..You both look beautiful & so happy together! Stay blessed always. Big love! 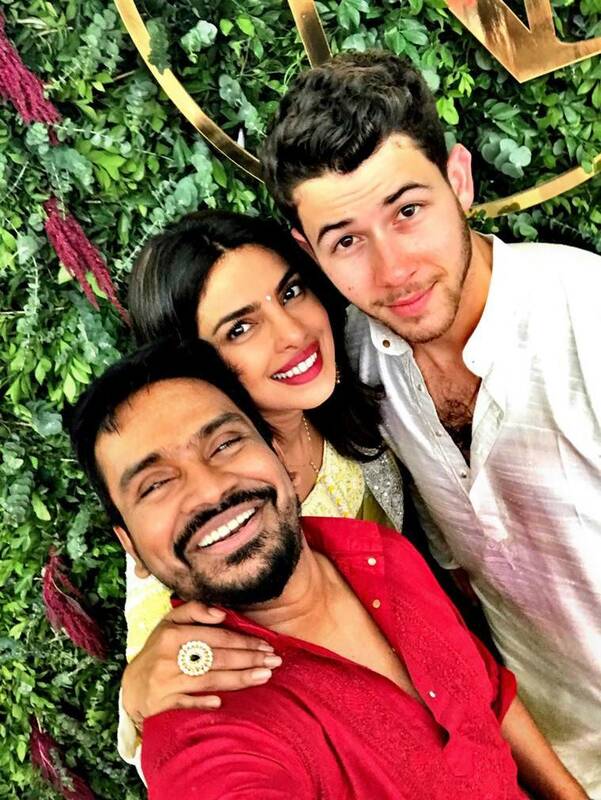 P.s He sure makes for a cute videshi desi boy!😉 @nickjonas #PriyankaNickEngagement"
Ashish Chowdhry shared on Twitter, "Couldn't be happier @priyankachopra and it's coz you look soo sooo happy, and thats exactly how I'd want you to be forever. You're the sweetest and kindest girl, and nothin less than a giant world of happiness is what you deserve.. God bless you, @nickjonas and your families!" Preity Zinta wrote on Twitter, "Congratulations to my dear @priyankachopra & @nickjonas on their new journey together. 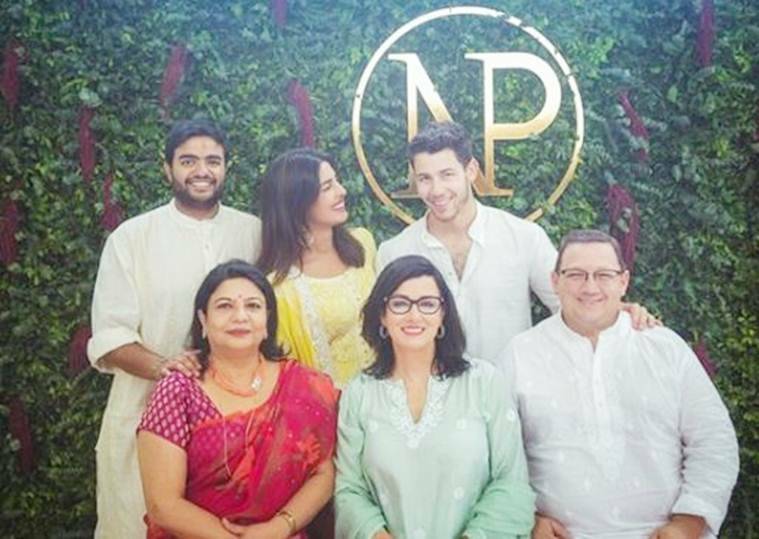 Wish you both loads of love, happiness & togetherness always 😍 ting #PriyankaNickEngagement #Celebration"
Nick Jonas' parents Denise Miller-Jonas and Paul Kevin Jonas Sr look on as their son and Priyanka Chopra partake in pre-wedding rituals. 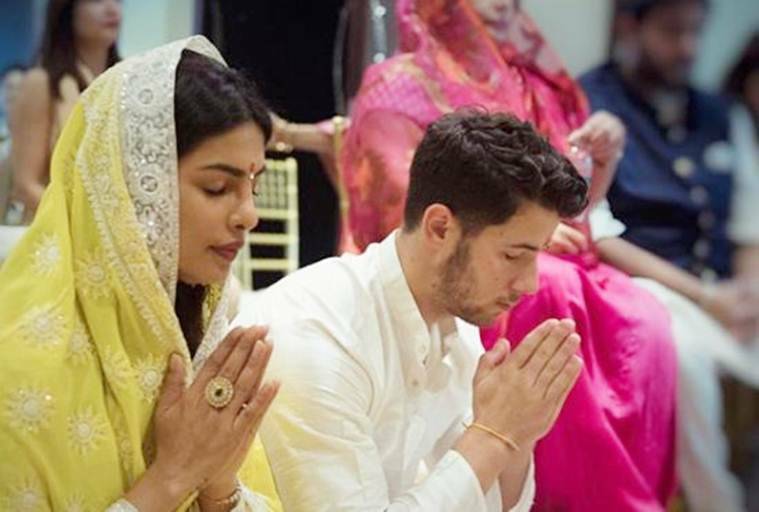 Bollywood actor Priyanka Chopra and American singer Nick Jonas partake in the pre-wedding rituals. 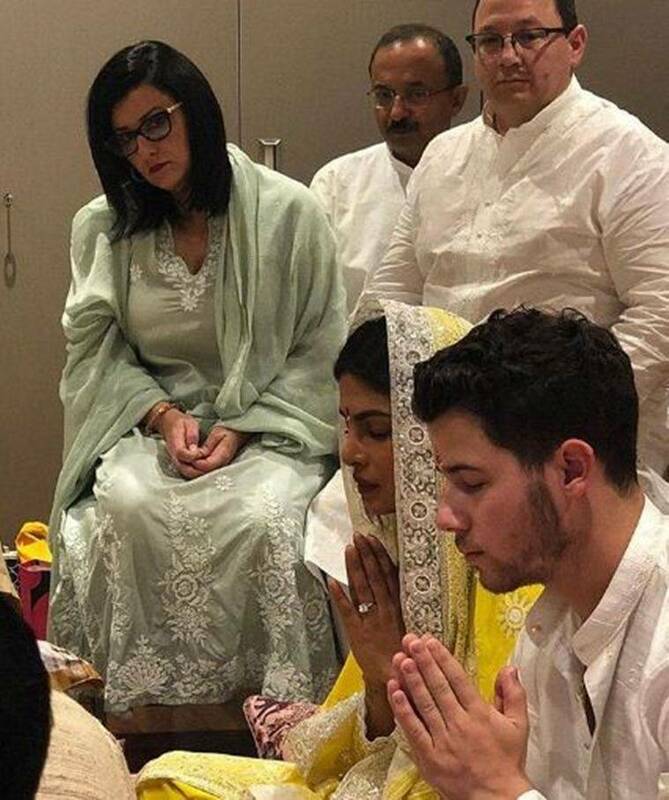 The first photo from Priyanka Chopra and Nick Jonas' roka ceremony is out. 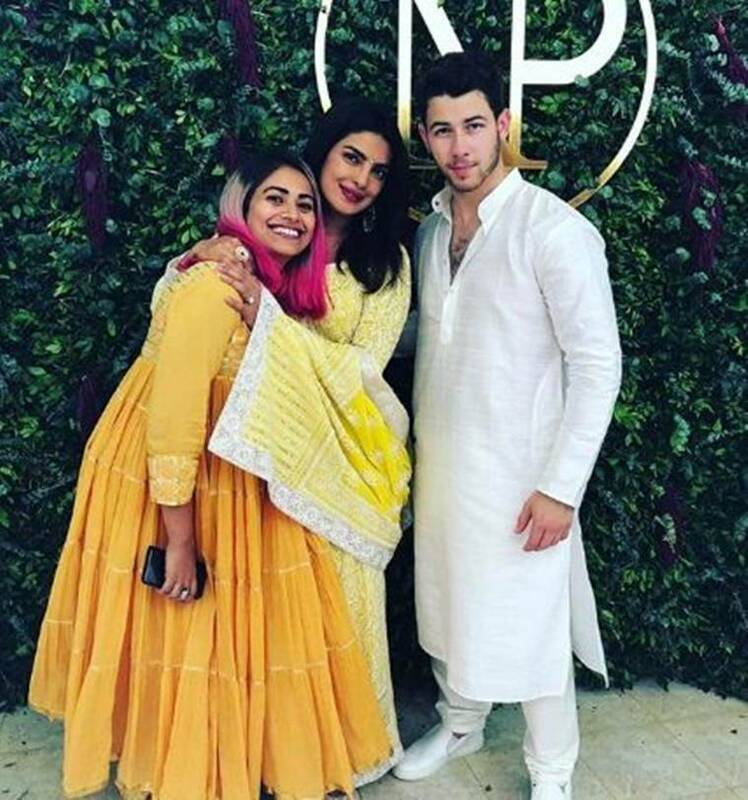 While Priyanka chose a yellow suit, Nick wore a traditional Indian attire. 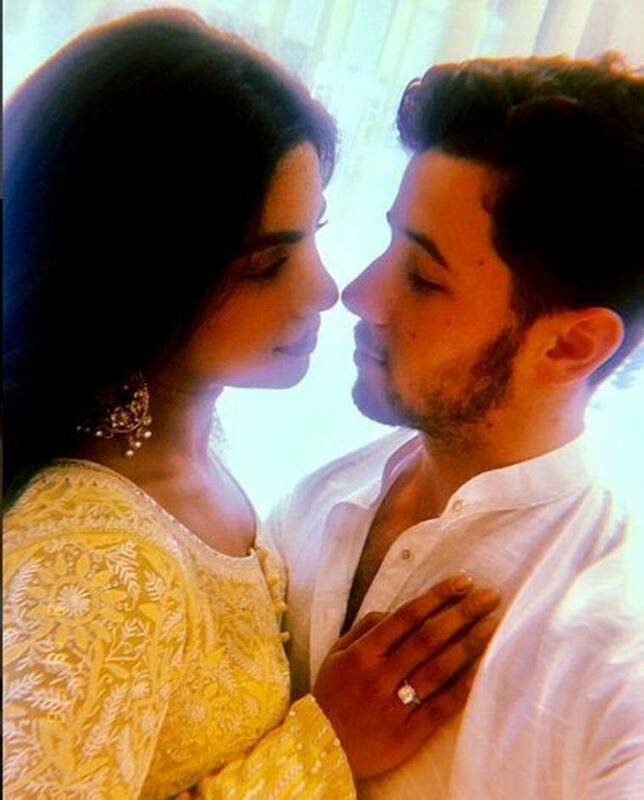 After months of speculation about their relationship, Bollywood actor Priyanka Chopra and American singer Nick Jonas have made it offical.